At Interspan we focus on adding value to our clients through innovation, problem-solving and technical excellence. We do this by collaborating between our Australasian, UK, European, Middle Eastern and Asian teams to share ideas, solutions and experiences. No challenge is too complex for our in-house design teams’ to resolve – quickly, accurately and efficiently with a focus on problem-solving. Interspan’s in-house engineering team bring innovation, efficiency and accuracy to every project through our experience, skills and knowledge in post-tensioned, reinforced concrete and temporary works design. In addition, our team has strong capabilities in dynamic analysis for floor plates. This analysis is used to check that the induced vibration from walking in a building won’t be noticed during the life of the structure. Unlike competitors who use consultants, our design team are fully involved in all aspects of the project – from concept design, detailed design to onsite installation and construction. This means we respond to queries, fast. This constant communication results in greater performance control and efficiency. Interspan’s in-house design team is very practically minded. We know if we provide a buildable solution, then this will control the labour cost on site and will provide an efficient structure for our clients. Our innovation goal is to push the envelope and stay at the leading edge of technology. This translates to providing cost and time savings for our clients, by providing a sustainable solution. 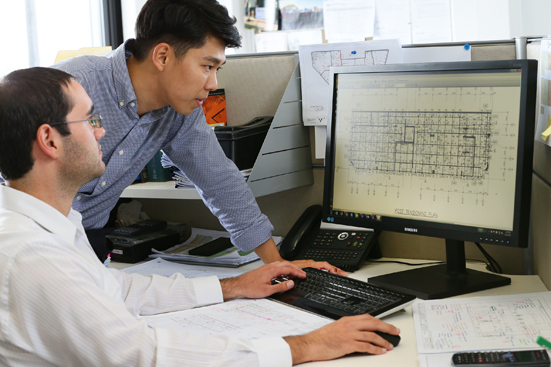 Our global team of 350 highly experienced design engineers, project staff and site teams in Australia, UK, Europe, Middle East and Asia work together to create optimum engineering solutions. Rather than creating distinct business units, our international offices work together and connect daily. This ensures we share the latest information among our team and continue to learn, grow and innovate. We are small enough to talk to each other every day. And large enough to provide our clients with the leading edge innovation, efficiency and technical excellence. This makes Interspan unique, because we focus on sharing information between our offices. As a result we provide all our clients with the latest in technology, design and construction. Our clients benefit from Interspan’s inter-office document control software solution system. Our electronic document control system is an industry leading system. The outcome is that the project information is instantaneously shared with other offices. This reduces gaps, rework or delays on projects. As a result, Interspan provides innovative, accurate and fast design solutions. The designs done by Interspan are detailed, practical and sophisticated. 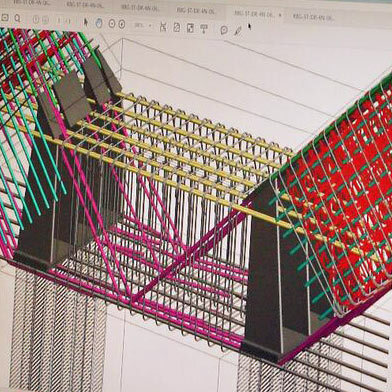 For example, the designs include bar tags of the reinforcement bars, which makes the installation more efficient and accurate for the onsite crew. To provide our clients with certainty, the Quality Management systems developed by Interspan are accredited and have become the industry leading document control system.